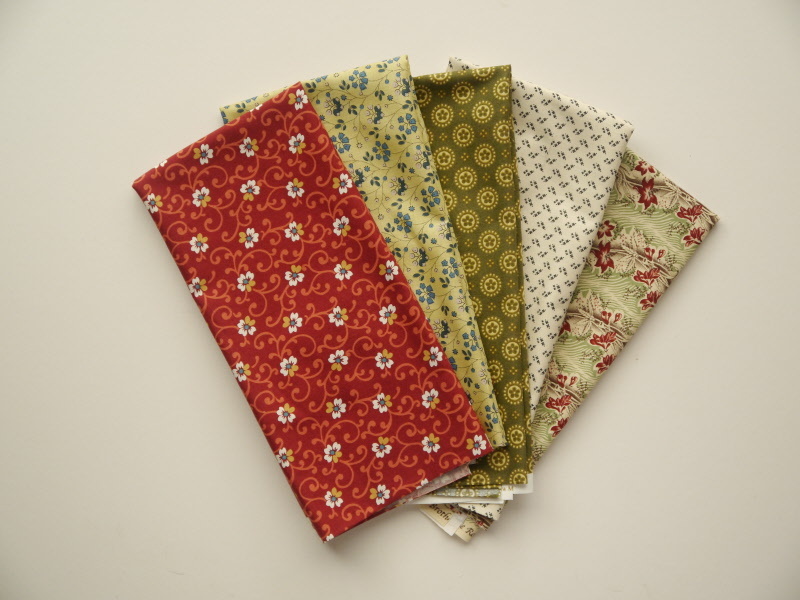 This is a gorgeous selection of fabrics that all work together beautifully. They are reproduction fabrics, which means that the colours and designs have been taken from fabrics designed in the 19th centuary. You will receive 5 x fat quarters which measure approximately 20 x 21 inches each. There is 1 1/4 metres of fabric in total.